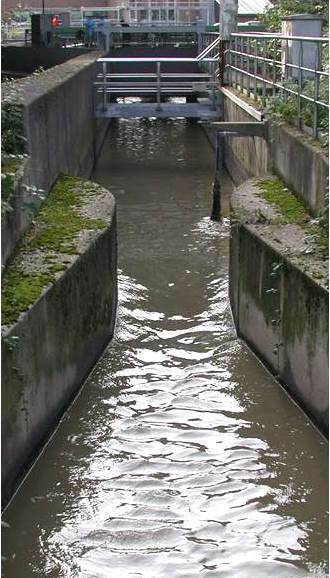 Since several years, ECT is investigating effluents of wastewater treatment plants within research projects (e.g. Neptune, Micropoll, TransRisk, ELaN) and on behalf of operators. Focus is often laid on comparing the effects of different advanced wastewater treatment methods on water quality. Currently, treatment plants are generally optimized for the removal of nitrogen and phosphor and for the reduction of biological oxygen demand in the effluent, but not for the removal of so-called micropollutants (e.g. personal care products and pharmaceuticals present at low concentrations). Due to concerns about limited removal of micropollutants from the wastewater, advanced treatment methods are implemented. Since advanced treatment methods (particularly ozonation has been critically discussed) may generate potentially toxic transformation products, the effects of such treatment methods on effluent quality are evaluated. In this context, ECT often contributes by parallel in situ testing of wastewater effluents treated with different advanced technical methods by using a temperature-controlled flow-through system installed directly at the wastewater treatment plant. The employed test organisms represent different trophic levels, i.e. aquatic plants such as Lemna sp., freshwater crustaceans such as Daphnia magna, fish such as Oncorhynchus mykiss, and the benthic oligochaete Lumbriculus variegatus. The assessed endpoints (including survival, hatching success, growth and reproduction) enable assessing chronic effects rather than only acute effects as determined in standard test methods according to German waste water regulations. ECT staff members are also participating in expert groups that recommend and survey the implementation of specific advanced wastewater treatment methods at pilot scale and full scale in wastewater treatment plants.